Climate overheating causes different effects at different levels of intensity all across the world. There is a lot of scientific evidence and varying opinions on what to do about climate overheating, and it can be difficult to navigate through all the information available to determine all the facts and reach a conclusion. We at the European Wilderness Society are aware of the global effects, and we see these effects negatively impact Wilderness in Europe. As an organisation we advocate for the protection Europe’s wildest, most pristine areas of land. We witness first hand the effects of climate overheating on nature when we conduct field audits. Climate overheating has a greater effect in mountainous regions. Our head office, Tamsweg, and many members of our European WIlderness Network (such as Hohe Tauern, Majella and Gorgany) have mountainous areas. 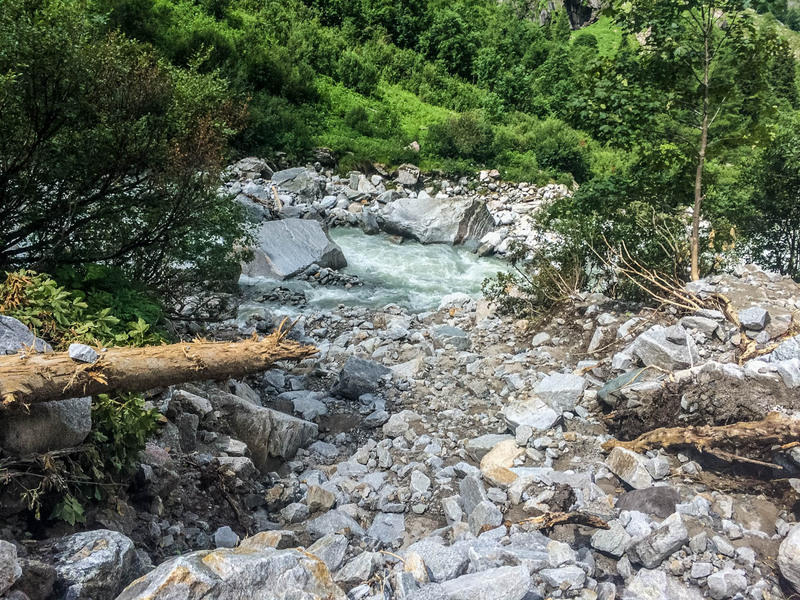 Tamsweg is located in the Biosphere Reserve Lungau, and we regularly come across evidence of avalanches in the mountains – uprooted trees, rocks and ice strewn across the trails. A recent study by scientists at the Université de Genève demonstrated that our overheating climate increases the risk of avalanches. An avalanche is a mass of rock, ice and snow that falls down a mountain, and can have disastrous consequences to wildlife and people close by. Avalanches kill approximately 150 people every year. They are a natural phenomenon, but this study has demonstrated that the frequency of avalanches is increasing, caused by an increase in air temperature. How did they show this? The scientists analysed the growth rings and ‘avalanche wounds’ in 150 trees in the Himalayas. This enabled them to re-construct the history of avalanches in the region from 1855 to present day. They combined this information with climate data, and the results show that in the latter half of the 20th century, the number of avalanches has increased in frequency and intensity. This study contradicts the assumption that global warming equals less snow, and therefore less avalanches. Instead, this study calls for governments to improve disaster risk policies. We should all take extra care in the mountains. Although the researchers studied avalanches in the Himalayas, their results are relevant to people and mountains worldwide. In the European Alps, 4750 people were killed by avalanches between 1970 and 2015. The number of people that die every year is decreasing, thanks to improved preventative measures and rescue equipment, but overall the number of avalanches is increasing. Why? Increased air temperatures cause glaciers to melt, which means the sediment is less stable and more likely to lead to an avalanche. We are also losing a lot of trees from mountainous regions, through a combination of logging and overgrazing. Again this makes the ground more unstable and increases the risk of avalanche. The photos below show evidence of a previous avalanche from one of our excursions to Hohe Tauern Wilderness, Austria.